?What is an Illinois premises liability case? Posted on 05/25/2017 Can I Legally Cut Down My Neighbor’s Dead Tree? Radon might not be something that you worry about on a daily, or even yearly basis, but if you’re buying or selling your home, knowing the facts about Radon could save you a lot of stress- and money. Radon is a colorless, odorless, radioactive gas that forms naturally in the ground, and releases into the air from soil and rock. The American Cancer Society estimates that approximately 20,000 people a year die from lung cancer related to radon exposure. Radon gas has been detected in all 50 states, and the Illinois Emergency Management Agency (IEMA) indicates that high levels of radon are present throughout Central Illinois. Radon levels fluctuate over time, location, and even seasonally. For example, radon levels are typically elevated during the winter because people tend to stay indoors longer and leave doors and windows closed, leaving nowhere for radon to escape. The good news is that radon testing is cheap, and uncomplicated. The typical cost to hire a professional inspector to test for radon is $150.00 to $200.00. You can also purchase home radon testing kits, which can cost as little as $20.00. IEMA maintains a website with important information about radon in Illinois and a radon information line (1-800-325-1245). IEMA recommends remediation if a radon test detects more than four (4) picocuries per liter (pCi-L) in the home. According to reports of licensed professionals in Illinois, the average reading for homes in Coles County between 2003 and 2011 was 5.3 pCi-L. When buyers sign a contract to purchase a home in Illinois, state law requires that the seller provide them with a Radon Disclosure and an IEMA Pamphlet which details radon testing procedures and guidelines. If the seller knows about elevated radon levels, the seller must disclose the information and provide the buyer with any previous test results. However, if the seller never tested for radon and has no information about radon levels, they have no duty to test. 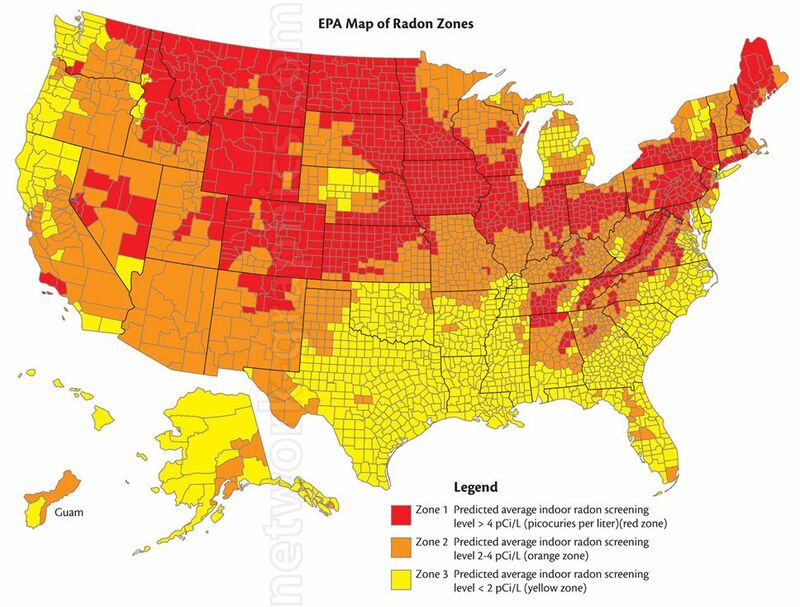 Furthermore, there is no requirement in Illinois that the buyers obtain a radon test either. Lenders typically do not require radon tests before they will extend credit for the purchase of a single family home, and even Federal residential lending programs with strict home inspection guidelines do not require radon testing. Buyers have options though. The typical Residential Real Estate Contract provides the buyer with the option to conduct a home inspection, including radon testing. If the home inspection reveals an issue, most contracts provide for remedies. If the buyer follows the provisions of the contract and adheres to the relevant home inspection time line, they can typically get the seller to pay for all or a substantial portion of the cost of remediating the radon. Radon remediation for a home with a crawl space typically costs between $500.00 and $1,000.00. Remediation of radon in a home with a basement can cost between $1,000.00 and $1,500.00. Of course, these are just estimates and the cost can actually be much more depending on the size of the home, the radon level, and numerous other factors. If you are looking to buy or sell a home and have any questions regarding radon testing or disclosure or any other real estate questions, please call our office any time at 217-639-7800 for a consultation.